By joining forces with Crestron Electronics, LG has created a broad portfolio of digital signage monitors designed to provide customers a higher level of integration convenience and reliability. To date, eight series of LG digital signage displays available worldwide–in 32- to 65-inch class sizes–are certified as Crestron Connected. Other models are undergoing certification testing. The Crestron Connected certification further enhances LG’s presence in the corporate, retail, government, higher education, and hospitality markets. As part of the Crestron Connected program, LG is embedding Crestron control software into its commercial displays, which allows certified partners to natively connect, communicate, and monitor activity from one central location. 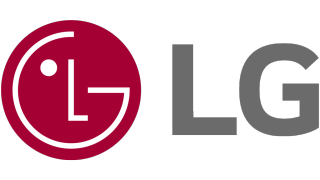 Because each display can be connected directly to the Crestron Network and recognized as a native Crestron device, customers will be able to seamlessly monitor and manage their LG displays through any web-enabled computer or mobile device without the use of an external control system. LG commercial displays also can show emergency messaging from Crestron controls. The Crestron Connected certification program covers seven AV vertical market categories: digital signage, projectors, monitors, audio/video receivers, and flat-panel TVs. Products with Crestron Connected software can connect simply to enterprise networks through a standard Ethernet cable, Wi-Fi, or Crestron’s infiNET EX Wireless Gateway.